But I digress. This version is a more serious affair, directed by Rodrigo Garcia (Albert Nobbs) and starring Ewan McGregor in a dual role as both Jesus Christ and the Devil. The story takes place in the early years – call it Jesus: Year One – while the Son of God was fasting in preparation for his mission to save the souls of man. The puzzling and enticing question that Last Days in the Desert poses is, how can Jesus Christ solve all the problems in the world if he can’t even solve the problems of three regular people? Ciaran Hinds (Munich) and Ayelet Zurer (Munich) are Father and Mother, respectively, and Tye Sheridan (Mud) plays their Son. 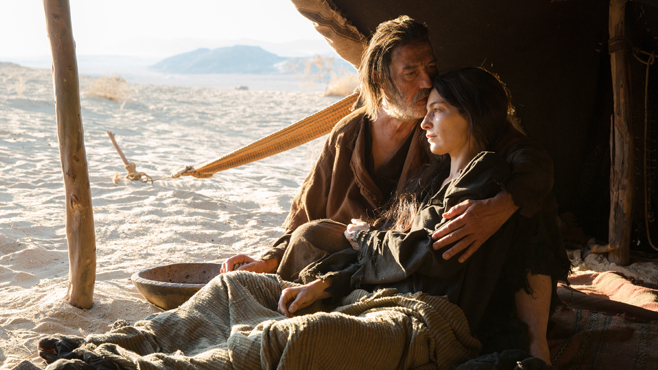 Father wants Son to stay in the desert to continue the family trade, Son wants to find his own way in Jerusalem, and Mother is dying, which complicates matters even further. Into their life walks Jesus, with whom the Devil makes a wager, and whose diplomatic skills have not yet matured into the stuff of legend, however well-intentioned the Son of God may be. 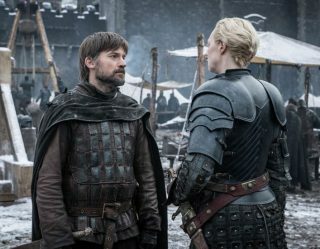 It may not sound like a complicated situation, but I defy you to look inward into your own family dynamic and not find at least one parallel, one ongoing conflict that seems insurmountable but would probably look simple on paper. Garcia’s story is universal enough to work as a timeless parable but specific enough to carry an entire film, and the sumptuous cinematography by Emmanuel Lubezki (Gravity) tells that story in a classical, appropriately reverent fashion. 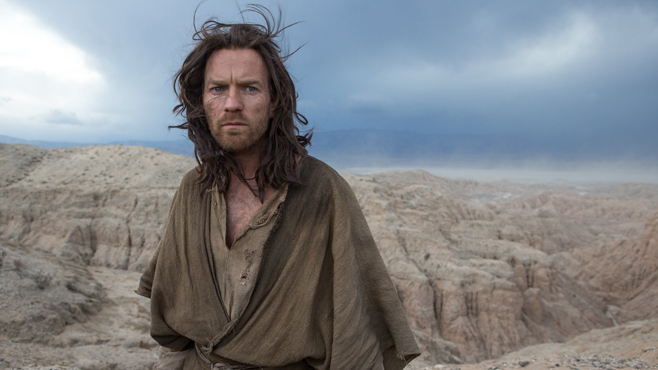 Ewan McGregor may be the latest in a long line of white Jesuses, but he does prove to be an exceptional one, radiating goodness while humanizing the Lord and Savior through an exploration of his inexperience. 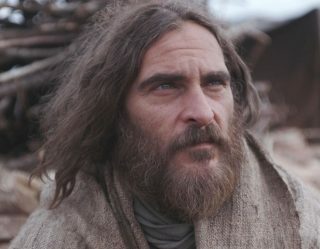 Jesus Christ means well in Last Days in the Desert but he isn’t entirely sure how to go make a real difference yet, and McGregor does true wonders acting against himself to dramatize Christ’s doubts and fears. 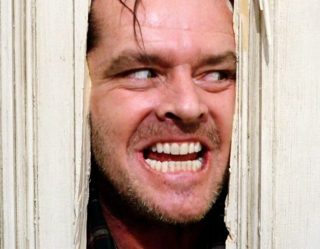 His version of the Devil is enigmatic, funny and unafraid to admit to his own weakness, although that itself may just be a way to inject even more doubt into Jesus’s mind about God’s plan, and his own path on this Earth. 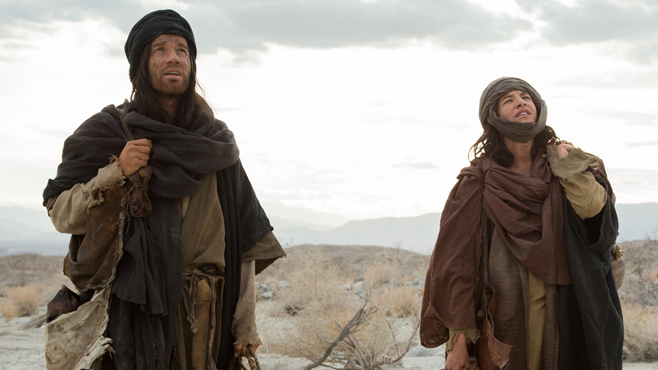 The most memorable moments of Last Days in the Desert consist entirely of Ewan McGregor talking to himself, with Jesus Christ and the Devil discovering that although they may be at odds with each other, at least they have something meaningful to talk about. Their last moment together is haunting, beautiful and even bittersweet. It moved me, in no uncertain terms. Last Days in the Desert skillfully depicts the complexities of the human spirit within a very simple, yet intensely engaging storyline. That would have been enough, but it finally concludes with a quiet moment that either raises a great many questions or answers all of the questions, forever. It’s either entirely unnecessary or the most important part of the film, depending on what you believe and how you choose to interpret the story that preceded it. It is a moment that I have been thinking about for days in order to decide whether it ruins Last Days in the Desert or makes the film sublime, and the conclusion I have come to is that it doesn’t matter. The purpose of the stories in The Bible, or a story like Last Days in the Desert which doesn’t so much come from The Bible as attempt – successfully – to evoke its power, is arguably to make you think about what really matters. In that respect, Last Days in the Desert achieves greatness. It is a very special story that captures the imagination and challenges the mind.